Plaid Friday began in Oakland as a more relaxing, enjoyable and inspired local shopping alternative to the “Black Friday” experience. 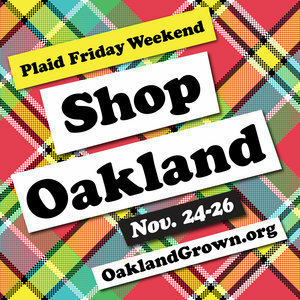 This year, nearly 200 participating businesses from across the city are participating in Plaid Friday Weekend (November 24-26) to encourage shoppers to explore Oakland’s shopping districts and meet local merchants. Plaid Friday Weekend will feature entertainment, holiday decorations, sales and extended hours, special events, artisan pop-ups and lots of love for their shopping community, including free parking. For more information, visit www.OaklandGrown.org. National retailer West Elm will open a 120-room hotel in Uptown Oakland in 2020 in partnership with Signature Development Group and Jordan Real Estate Investments. West Elm selected Oakland as an “iconic place” with an independent spirit, and the hotel aims to connect visitors to the local culture by partnering with local businesses, artisans and makers on the new space. If you would like to be featured at the hotel, contact West Elm at local@westelmhotels.com. 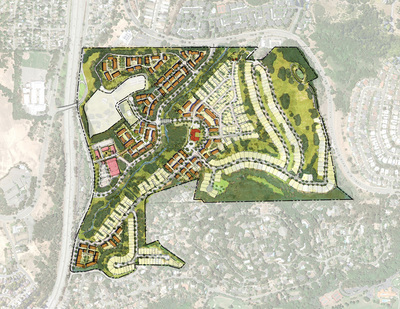 On October 18th, the Oakland Planning Commission recommended that the City Council approve the Oak Knoll Plan to develop 918 homes and 72,000 square feet of commercial space in the East Oakland hills. The historic Club Knoll property would be moved, renovated and re-opened as a 4,000 sf central community building with 10,000 sf of commercial space. The Plan also includes 85 acres of open space, tree planting and a creek restoration. The Oakland City Council will discuss Oak Knoll at its Community and Economic Development committee meeting on October 31 and at the November 7th Council meeting. For more information, please contact planners Scott Gregory or Heather Klein. On November 2, partners Oakland Unified School District, Laney College and City of Oakland will host the annual Manufacturing/Career Technical Education Day. Participating students will visit Oakland companies AB&I Foundry, Creative Wood, Everett Graphics, KSI Keyboards, Nor-Cal Metal Fabricators and OCHO Candy. Oakland’s excellent training pipeline will be one of many manufacturing strengths discussed at the Bay Area Urban Manufacturing Initiative (BAUMI)’s sold-out summit in West Oakland on November 9. BAUMI brings Bay Area cities together to shape the future of manufacturing and connect industry across the region. For more information on Oakland manufacturers, please contact Industry Specialist Steve Lautze. 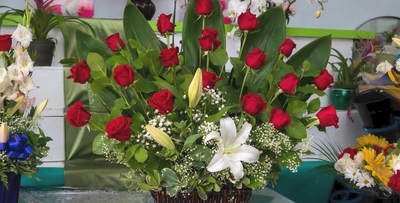 After operating Artesanías y Botánica Del Sol on International Boulevard for the last 18 years, Roció Navarro decided to increase her exposure. 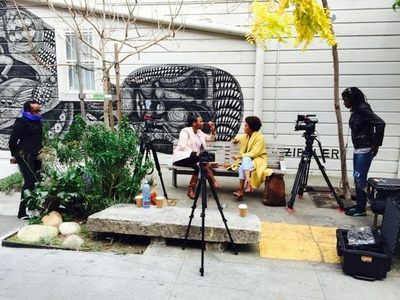 She moved a few blocks down and connected with City partner AnewAmerica, who matched her with Oakland Digital, a non-profit that helps local business increase their marketing and digital presence. Oakland Digital Designer Yudy Herrera assessed the business and determined that they needed to modernize their brand, creating a new custom logo, social media presence and business cards. Roció was so impressed by the look that she ordered an 8’x 22’ banner to serve as a storefront sign, reporting that her sales increased $400 more on the day the signage was installed. Also on International Boulevard, City partner Mason Tillman Associates collaborated with Hack the Hood, another award-winning non-profit that introduces low-income youth of color to careers in tech, to develop websites for two more businesses: Daily Fresh Rose Shop and eco-friendly Lockwood Cleaners. Manuel, owner of Daily Fresh Rose Shop, praised the new website and said that “I’ve wanted to have more people all over Oakland know that we are here and ready to serve them!” Businesses located along the planned AC Transit Bus Rapid Transit route on International Boulevard can receive free assistance from City partners. For more information, please contact Project Coordinator Susana Villarreal. This year’s Inner City 100 List, a roster of the fastest growing inner city businesses in the U.S., includes eight Oakland companies, making us the top West Coast location and second in the nation to Chicago. The program is a reminder that businesses are thriving in Oakland and other American urban centers and creating jobs. Congratulations to the following Oakland-based companies ranked on the 2017 100 Inner City roster: OCHO Candies, Fathom Studios, Oaklandish, Blossom Foods, Blaisdell’s Business Products, CORE Foods, JRVD Architecture and ProActive Business Solutions. For more information, please contact Business Development Coordinator Aliza Gallo. Third Space Media began as a web series featuring local creatives and entrepreneurs such as Daghe Digital and Joel Flory of VSCO, interviewed by founder Faiza Farah in a “third space” away from work or home, such as a cafe, restaurant or other gathering place. The startup is now evolving into a subscription-based video platform uplifting diverse voices of independent creatives. The platform will not only house content, but will support artists by paying them for their work, allowing them to maintain ownership, and getting the content out into the world. For more information about Oakland startups and the Oakland Startup Network, please contact Industry Specialist Marisa Raya. The City of Oakland Business Development team and technical assistance partner the Northern California Community Loan Fund are identifying and aiding nonprofits feeling the space squeeze due to risings rents and real estate costs. 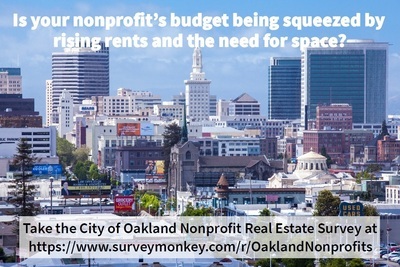 If you are an Oakland nonprofit searching for space, connect with us by taking this short survey! For information on nonprofit space in Oakland, please contact Industry Specialist Marisa Raya. Could a downsized A's ballpark be a hit?